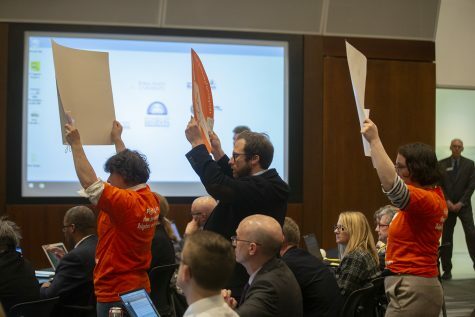 The state Board of Regents is requesting additional state appropriations go toward financial aid rather than the universities’ general funds. 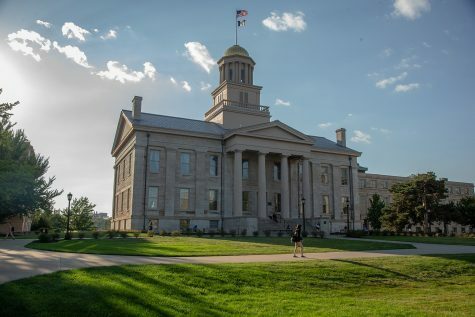 “Everything is on the table,” Regent Larry McKibben said throughout the summer as Iowa’s public universities governed by the state Board of Regents convened for Tuition Task Force meetings across the three campuses. The first item on the table? State appropriations requests, according to documents released by the regents Monday. 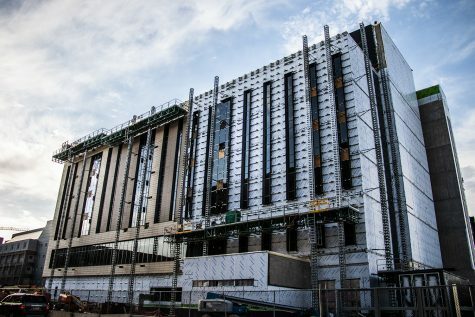 After the state Legislature reduced base appropriations earlier this year by more than $30 million for fiscal 2018, the regents are taking a new approach. Instead of requesting additional appropriations to the universities’ general funds, the regents are requesting a $12 million boost in appropriations that would be committed to resident undergraduate financial aid. 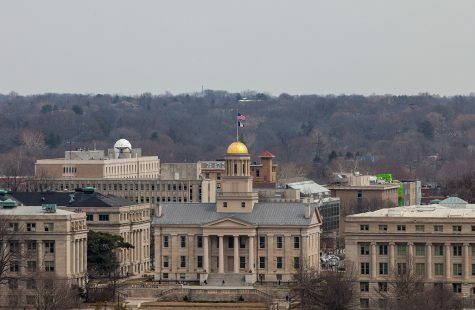 The University of Iowa and Iowa State University would each receive $5 million, and the University of Northern Iowa would receive $2 million if the Legislature funds the request. 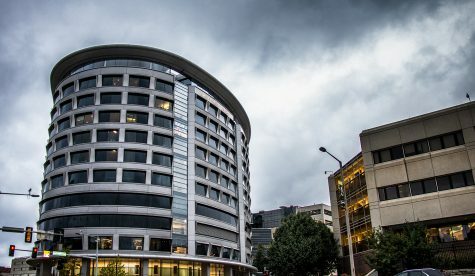 Overall, the regents’ fiscal 2019 appropriations request, including operating and other appropriations requests, totals more than $622 million. The regents’ documents point out that Iowa currently ranks last in the nation in a comparison of the percent of need-based aid awarded to students attending public universities. 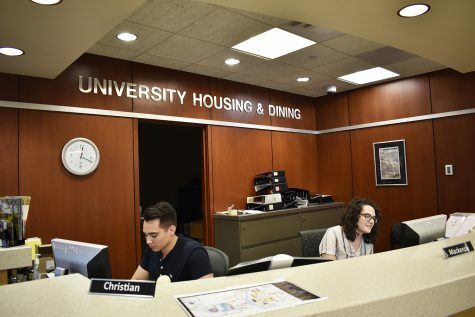 “Moving up one spot to 49th would require more than $20 million dedicated to the students attending Iowa’s public universities,” according to the documents. For students attending Iowa’s public universities, the state has no financial-aid funding dedicated solely to them, according to the regents’ documents. However, those students can apply for aid available through all sectors, including the All Iowa Opportunity Scholarship, which was appropriated $3.1 million during fiscal 2018, as well as the Iowa National Guard Educational Assistance Program, which received a $2.8 million appropriation in fiscal 2018. A majority of state-administered aid is allocated to the Iowa Tuition Grant, with a fiscal 2018 appropriation of $46.6 million. Plans to commit additional resources from the state to increasing financial aid are not new — according to the UI’s five-year tuition plan presentation, the university intends to use any additional state resources above the fiscal 2018 base of $217 million to need-based financial aid. 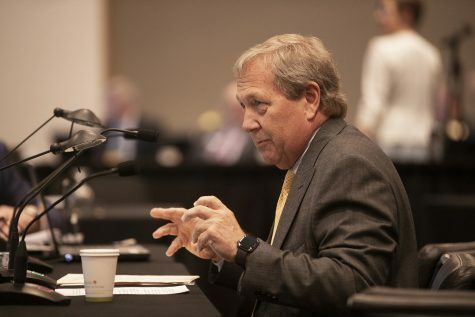 UI President Bruce Harreld said during the UI’s Aug. 14 Tuition Task Force meeting that the institution understands the difficulties imposed on students and families as tuition increases, which is why, he said, the UI is committed to boosting its need- and merit-based financial aid. 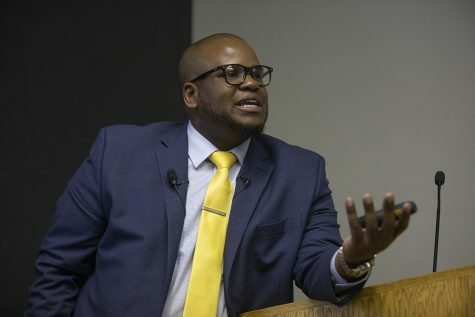 “A careful balance between an increase in tuition and appropriate scholarship will help mitigate the impact on those that may be struggling with the cost,” he said. Until the first reading of fall 2018 tuition rates during the regents’ October meeting and the final vote in December, actual tuition rates will remain unknown. 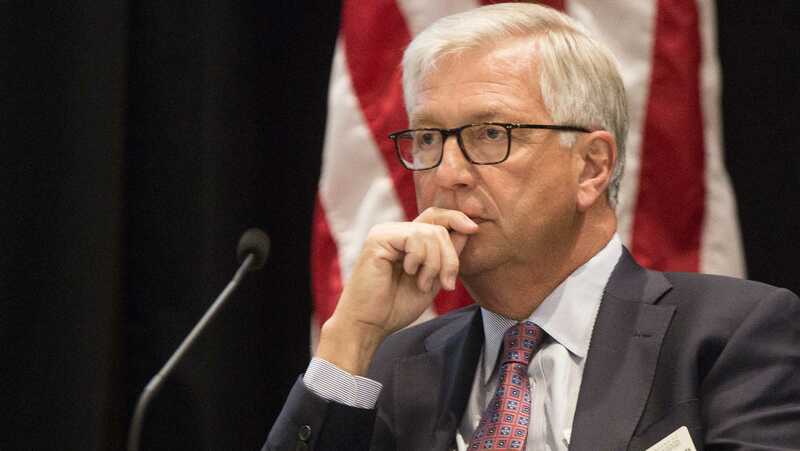 After the regents’ Sept. 7 meeting, Regent President Mike Richards said the regents “are going to come in with the right number,” but they have not yet determined what that rate will be. 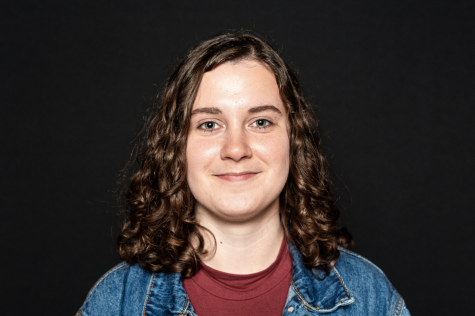 McKibben, the chair of the Tuition Task Force, supported Richards’ point that the regents plan to have only one vote on tuition rates, remaining in line with what the regents set out to do in forming the Tuition Task Force: keeping the cost of higher education predictable for students and families.